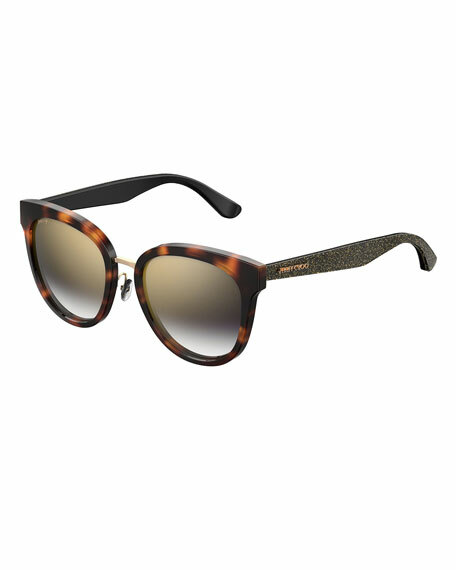 Jimmy Choo "Cadefs" round sunglasses in acetate. Mirrored lenses; logo script at right lens. Glittered arms with logo detail at temples.